The last round, Round 12, will determine who will be the World Champion, or whether we’re headed to a tiebreak playoff. Game 12 is on and live coverage should be available in ChessHive Live page. Remember that you may enjoy multi-camera live streaming with live commentaries by chess celebrities and grandmasters if you unlock Worldchess.com’s full service when you visit their official website. Furthermore, you may enjoy 10% discount if you use our promo code: BISHOPD3. You may replay the Round 8 game here. 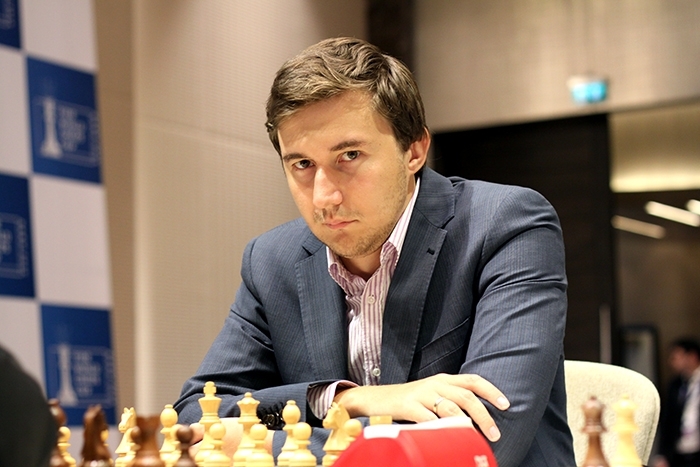 After 7 games of series of draws, finally, the Challenger and the underdog of the match, Sergey Karjakin, drew first blood with a convincing win in Round 8 with the black pieces. 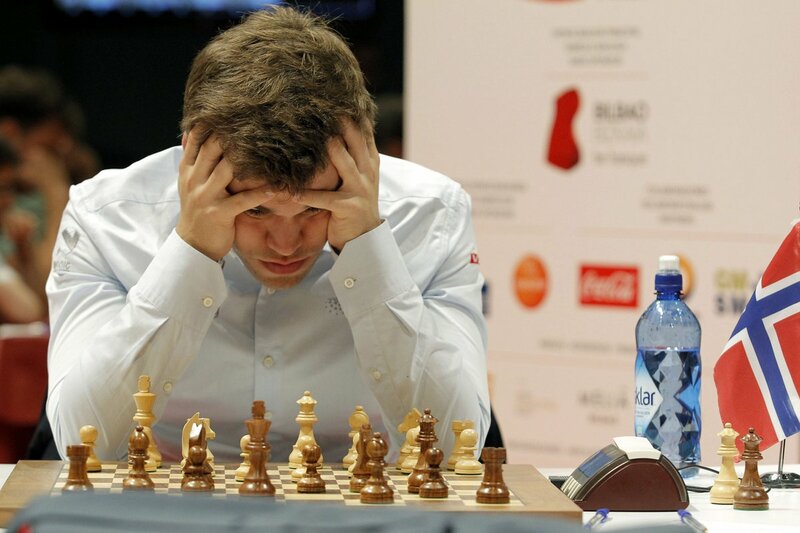 This happened after the World Champion Magnus Carlsen blundered on two consecutive moves with 51.Qe6?? and 52.h4? 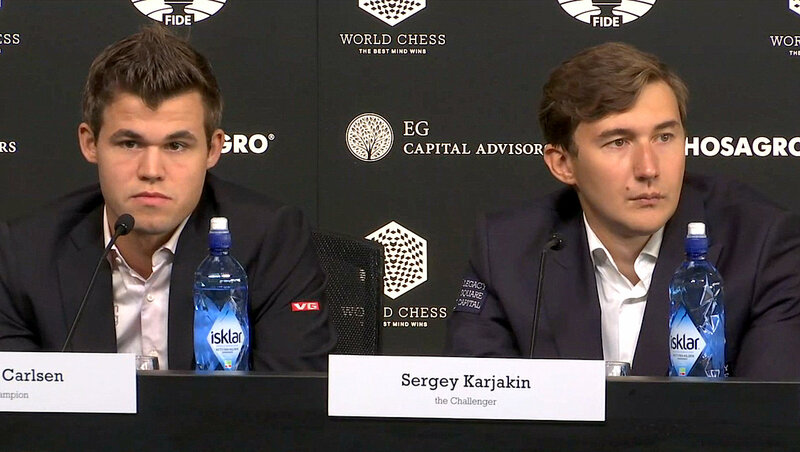 ?, after which when Karjakin forwarded his pawn with 52… a2, Carlsen resigned. He can’t take the a2 pawn with 52.Qxa2 because he’ll lose his chance for a perpetual check when 53. Qxa2 Ng4+ 54. Kh3 Qg1. He can only continue with 55. Bf3 Nf2+ 56. Qxf2 Qxf2. 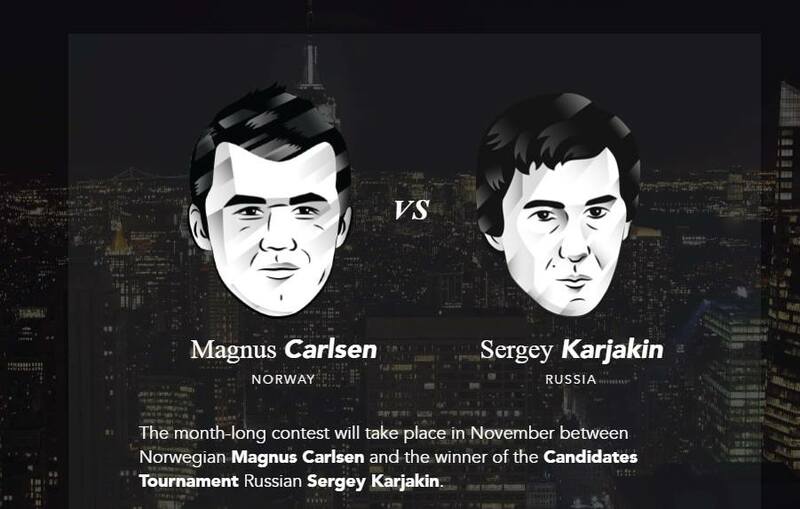 This World Championship match is slated for 12 rounds, and thus Magnus has to score at least 1 game in the next 4 rounds in order to at least retain his title. Replay all the games of the World Chess Championship 2016. That’s how tight the competition has been. We all thought how lopsided the match would be in favor of the World Champion. 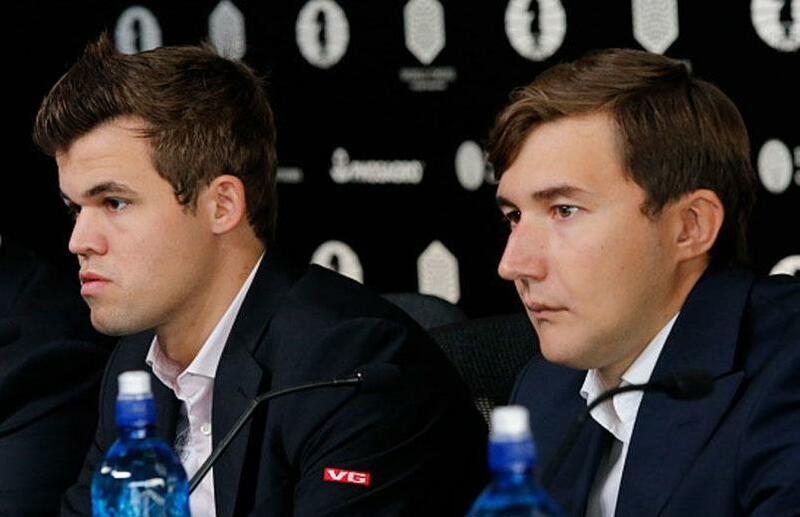 That’s not the case at the end of the 7th round in the World Chess Championship 2016 between the World Champion Magnus Carlsen and the Challenger Sergey Karjakin. It has been a draw-fest so far as all of their first 7 games ended in draws. Replay all the games in the World Chess Championship 2016. Live broadcast of Round 6 will be available here. 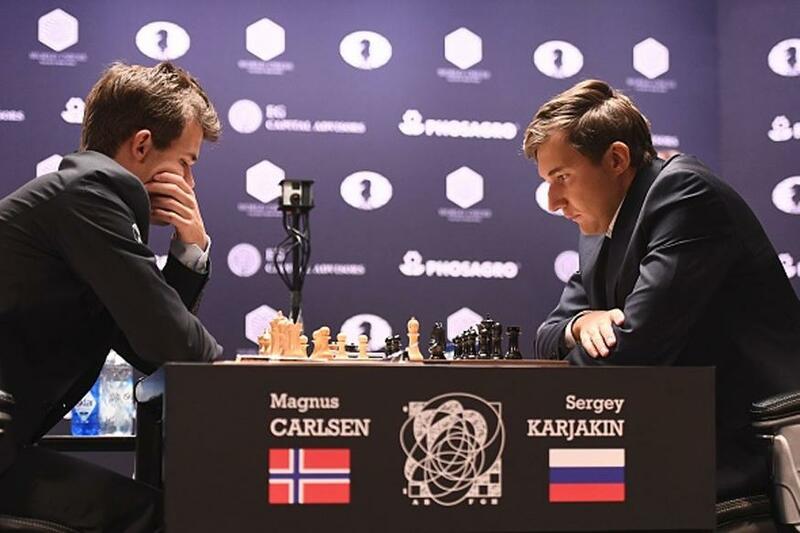 And they saved a win for another day, as Round 3 of the World Chess Championship 2016 between the World Champion Magnus Carlsen and the Challenger Sergey Karjakin ended in yet another draw. That’s a total of 3 draws in 3 games. You can catch the Round 4 game LIVE here. Remember that you can unlock full access to Worldchess.com’s live multi-camera streaming and commentaries by chess celebrities and grandmasters, among others, by visiting the official site. Use our promo code BISHOPD3 in order to avail of a 10% discount. 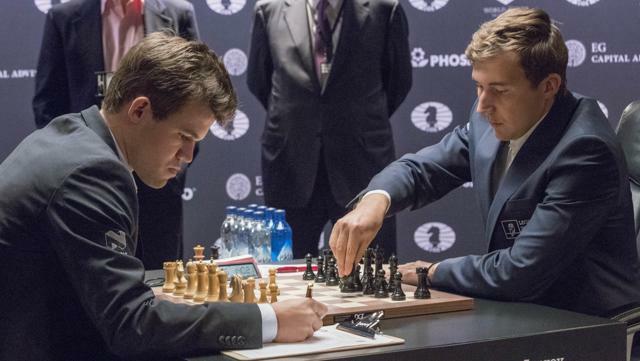 Replay all the games: World Chess Championship 2016.